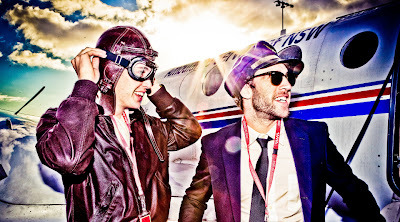 Flight Facilities bring you a free download of their bootleg from their 1992-2002 Decades Mix. "We normally wouldn't do things like this but too many people have asked for a download. We're turning a blind eye to our own judgement on cheesy-mashups. So here is one of the bootlegs we made for the 90s mix. We've pulled it out of the project for your enjoyment." I'm so glad they mention something of their opinion of mashups too, as I seem to have a violently negative reaction to most of them. While most are just an excuse for poor skills or inexperience typically coming off as musical turrets, this one takes it easy. I also might be super biased in that the two songs they sample are major favorites of mine, and I love Flight Facilities. So whatever. It's good. STREAM/ DOWNLOAD Cassius/ Outkast - "Feeling for Rosa (1999)"